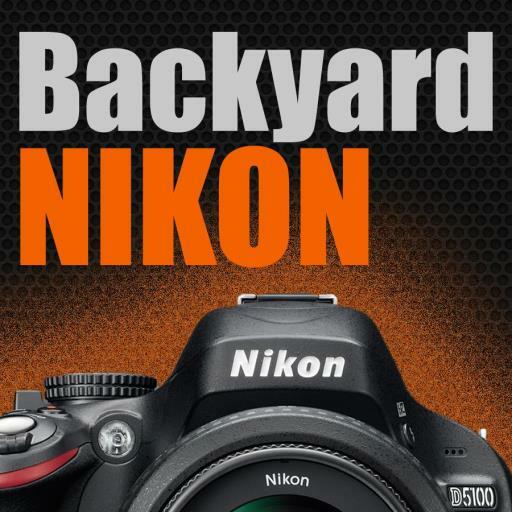 BackyardNIKON supports over 25 Nikon DSLR models! When you see (serial) for a particular function, it means a serial cable is needed to access that function in addition to the regular USB cable for all other functions. BackyardNIKON has been tested with Shoestring Astronomy DSUSB serial cables. If you have purchased BackyardNIKON in the past chances are you can upgrade to the most latest version/edition for free. You need an account first! As of January 2015 the new validation server requires an account to associate your new key to its rightful owner, that would be you. Before January 2015 it was possible to obtain a software key without an account. This is no longer the case. If you have never created an account here on www.otelescope.com you need to create one now. If you have created an account in the past please login using that account and proceed with the upgrade. Please read the following instructions carefully; depending on the version you currently have the instructions differs a little bit. Select your current version from the list below and follow the step by step instructions. I already have BackyardNIKON 1.0 or 2.0 and I just want the latest release. What do I do? Upgrading from BackyardNIKON 1.0.x or 2.0.x to the latest 2.0.x is FREE. If you currently own BackyardNIKON 1.0.x or or 2.0.x and simply wish to get the latest version of that same edition there is no special upgrade path; simply download the latest version, install, use the same key, and enjoy! Having difficulties or still not sure what to do? Contact Us using the contact form on the page footer; we are here to help. How-to upgrade from BackyardNIKON 1.0 or 2.0 Classic Edition to BackyardNIKON 2.0.x Premium Edition? Upgrading from BackyardNIKON 1.0.x or 2.0.x Classic Edition to BackyardNIKON 2.0.x Premium Edition is $20 USD. Sign-in or create an account if not already done. Go to our store and add BackyardNIKON Premium Edition in your cart and proceed to checkout. Enter coupon code 'BYN-UPG-PREMIUM' on the checkout page. Your coupon entitlement will be verified instantly and your discount will be applied immediately if you are eligible. Your new activation key will be issued ONLINE immediately once the transaction is complete. Your old Classic Edition activation key will be deactivated a few days later. This is commercial software; not freeware. Please read the following 'Fair' End User License Agreement carefully. 1. We grant you one single user license to install and use the software on one computer at a time. If you do not agree to the following terms of this license, please uninstall and remove all copies. 2. You may install and use the software on another computer, but the software should not be in use on more than one computer at a time unless you purchase additional licenses. You may make back-up copies of the software for archival purposes. You may not transfer your license to use the software to another party. 3. The software is protected by the copyright laws of Canada and other countries, and we retain all intellectual property rights in the software. You may not separately publish, sell, market, distribute, lend, lease, rent, or sub-license the software. However, this license is not to be construed as prohibiting or limiting any fair use sanctioned by copyright law. 4. Non-Canadian end users are strictly prohibited from using the 'Software' in Canada. In return you will not be charged Canadian sales tax. If you do not agree you must (a) pay sales tax on the 'Software' or (b) immediately stop using the 'Software', uninstall, and remove all copies. 5. We warrant that the software will provide the features and functions generally described in the product specification on our website when you purchased it and in the product documentation. Media, on which the Software is furnished, if any, will be free from defects in materials and workmanship. 6. We have taken all reasonable steps to keep the software free of viruses, spyware, 'back door' entrances, or any other harmful code. We will not track or collect any information about you, your data, or your use of the software except as you specifically authorize. We will not intentionally deprive you of your ability to use any features of the software or access to your data. 7. We do not warrant that the software or your ability to use it will be uninterrupted or error-free. To the extent permitted by applicable law, we disclaim any implied warranty of merchantability or fitness for a particular purpose. 8. Your exclusive remedy under the above limited warranty shall be, at our option, either a full refund of the purchase price or correction of the defective software or media. To the fullest extent permitted by applicable law, we disclaim all liability for indirect or consequential damages that arise under this license agreement. Nothing in this agreement limits our liability to you in the event of death or personal injury resulting from gross negligence, fraud, or knowing misrepresentation on our part. 9. If any part of this agreement is found to be invalid or unenforceable, the remaining terms will stay in effect. This agreement does not prejudice the statutory rights of any party dealing as a consumer. 10. This License Agreement is governed by the laws of Canada and other countries where applicable. 11. This License Agreement replaces and supersedes all prior negotiations, dealings, agreements between Licensor and Licensee regarding the software, and is retroactive to the date the 'Software' was acquired.